Nabhan will present success stories from Arizona, highlighting how working for a healthier food system is one of the few goals that bridge the many divides in America today, by uniting urban and rural, left and right, immigrant and indigenous, producer and consumer in ways that build lasting collaborations. Lunch & Learn: Cultivate Prosperity with Good Food Finder! Grow your business and connect with Arizona's eaters using Good Food Finder's updated platform. Agriculture in Maricopa County has undergone tremendous change over the last four generations, as the Sossaman Family knows. Steve will speak to the evolution of his farm, family food businesses, and ability to reinvest in his community by saying “yes!” to new relationships and opportunities. Hear the lessons he’s learned to help him become one of Arizona’s best-known agriculturalists in modern markets. Want to be a part of the movement to revitalize the crops that are adapted to our extreme environment, thrive in hot summers and are nutritious and healthy plus beneficial to the farmer? Join the Farm at Agritopia and Ajo Center for Sustainable Agriculture for a hands-on workshop on planting and cultivating Sonoran Desert crops, including free seeds, tips and a tasting. Join us on the East Patio for a raffle and libations from this local-food sourcing champion, just 15 minutes northwest of Agritopia. All ages welcome! Appetizers are on the house with a cash bar. Join this panel of farmers, chefs and food entrepreneurs to discover why and how you should include heirloom crops or foods into your business. The panel will address the issues of sourcing, cost management, product development, advertisement, as well as larger issues of food heritage, cultural appropriation, taste of place (terroir) and corporate responsibility. In this workshop, participants will begin to identify their unique brand, learn tools to achieve consistency in presentation for marketing, and practice plating fresh fruits and vegetables. Improve your ability to present food for your at-home marketing efforts, draw customers in with their eyes by presenting beautiful samples at a Farmers Market booth, and wow your potential wholesale customers. Efforts to increase food security in rural and urban communities in Arizona have evolved from setting blanket goals of doubling the number of farmers markets, to taking place-based and people-driven approaches to meet each community’s needs. Learn from three models that are working here at home: a mobile grocer, a brick and mortar retailer, and a local farm, and explore the research regarding the most effective ways to improve a community’s access to healthy food. There is inherent difficulty in managing a perishable goods supply chain. It's risky for all sides, and everyone has a lot on the line, leading to broken promises and strained relationships. This interactive conversation and workshop is geared toward everyone who makes a sale or buys a product: folks who crop plan together, negotiate up-front contracts, or who make the once-per-month order. Together as suppliers, growers, and buyers, we will explore the unique opportunities in local supply chains for strong supply chains and healthy relationships. As a farm or food business owner, your livelihood isn’t exactly a 9-to-5 job, and your "office" doesn't fit the norm. When a homeowners policy just won’t provide the protection you need, what do you need to know and how do you find the best options for you? Learn from these farm and food-business centric agents who understand the unique risks, challenges, and opportunities that exist for insuring your success in Arizona. Purchasing from locally owned businesses in Arizona keeps up to 4 times more money in our state’s economy. By sourcing your farm implements and technical assistance locally, you help perpetuate the market that will, in turn, support you. Hear rapid-fire presentations and speak directly with a handful of local suppliers, resources, and partners to help you grow your food business and cultivate prosperity. Understand the benefits of diversifying your revenue stream and identifying opportunities for income generation in the off-season. Learn the dos, don'ts, and common pitfalls of incorporating agritourism component into your farm or food operations. Farm to school enriches the connection communities have with fresh, healthy food and local food producers by changing food purchasing and education practices at schools and early care and education sites. From local procurement to educational initiatives, Arizona is stepping up its game. Join this fishbowl roundtable to meet the local champions of this work, and get a lay of the land of existing efforts. The City of Phoenix established a 2050 Local Food System goal to maintain a healthy, sustainable, equitable, and thriving food system. Phoenix is preparing a Food Action Plan that will include strategies to move toward that goal with specific actions for 2025. Join us and share your thoughts, ideas, and challenges for growing a successful farm and food business in Maricopa County. Let’s co-create a plan that provides healthy food and cultivates prosperity for all. Attendees will learn some basics for food photography. As seen through the lens of social media, instructors will offer tips and tricks from staging to lighting for using your smart phones to snap that photo and capture that sale. In this interactive workshop, attendees should bring a functional smartphone with the ability to take photos, connect to the internet, and post to a social media platform of their choice. If you're swarming with questions about how the Drought Contingency Plan and the looming threat of water restrictions will affect your ability to grow food and support your livelihood, rest assured you’re not alone. Join this session to learn about low-water use farming and gardening techniques that can be incorporated to help your operations stay afloat for generations to come. If food safety is like a highway, where are you? Going full speed ahead – or still at home, planning your route? In this interactive workshop, Pinnacle Prevention will introduce a new series of tiered food safety trainings, taking a peer-to-peer approach to identifying and managing good safety risks on small-scale fruit and vegetable farms. These trainings are not part of an audit or regulation, but rather the first step in exploring, understanding, and addressing farm-based food safety risks. Participants will also create a Farm Map to take home. The session will also feature representatives from the Arizona Department of Agriculture to speak to the expectations and processes for GHP/GAP certifications and impacts of the Food Safety Modernization Act Produce Safety Rule. With so many elements affecting how people experience products, services and brands, it is often difficult to know what your customers need or want - and how that can affect your business. Having a road map to navigate the complex world of consumers perceptions can make your development and marketing efforts more strategic and profitable. Learn how consumer research can be adapted to meet your particular food marketing, development, and budgetary needs. 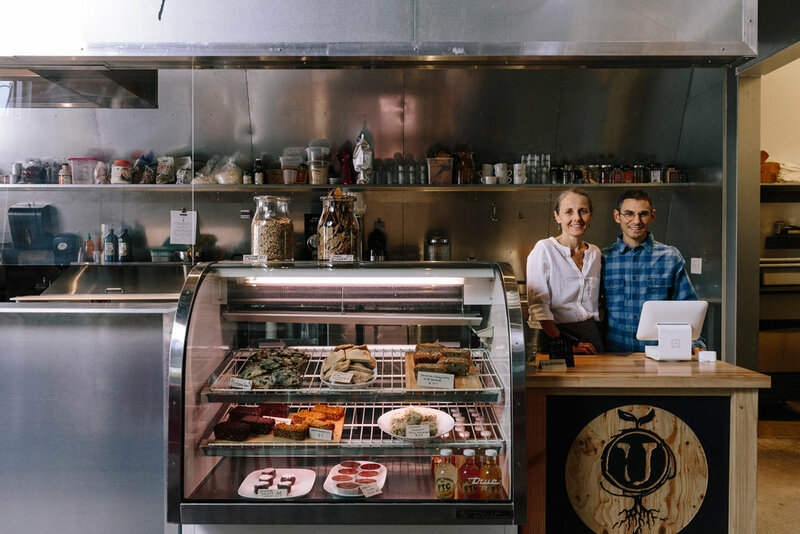 In this panel, attendees will learn about a variety of ways to think to seek capital for beginning or growing a food business, paying special attention to low-interest and small business loan opportunities. We all know the process can be daunting and paper-intensive, but there are committed people to help you through the process. Join to learn of local examples of success, ask what it takes to become an eligible applicant, and begin identifying your own opportunities. Starting a small, diverse, biointensive farm from scratch can be daunting, but it is possible! Connect with and learn from local farmer on how he went from a vacant, blighted lot to growing a wide variety of Certified Organic and GHP/GAP approved produce in just two years, now distributed through farmers markets, online ordering, and direct to restaurants. Dennis Mahoney, 47 Ranch / Cross U Cattle Co.
Ilse Rojas PhD, Apex Applied Technology, Inc. There are general principles and proven practices to alleviate stress and face the challenges of succession planning with hope, optimism, and renewed enthusiasm. Join Dennis Moroney of 47 Ranch, Kevin Fort of Regenerative Business Institute, and Ilse Rojas of Apex Applied Technology, Inc. as they talk transitioning to employee ownership. Grocers, chefs, and retailers are feeling the pressure to add local foods to their shelves and menus, but what does it take to get your product into their offerings? Hear from three local buyers about their expectations and needs when bringing on new purveyors. Organic eatery serving plant-centric, local-focused, and seasonal cuisine. Bold and hearty wood-fired cuisine specializing in pizza, sandwiches, and salads. Common food done uncommonly well. Airy cafe with full espresso bar and hearty breakfast and lunch dishes. Award-winning local restaurant offering hand-crafted American cuisine, espresso bar, and craft beverages. Long-standing local hot dog hut with all the delicious hot dog toppings you could ask for. Real BBQ slow-cooked over pecan wood and served with a side of genuine hospitality. Traditional BBQ with an Arizona kick that is locally grown and locally sourced. Naturalism and conservation are central tenets of this brewery. Serving up mesquite-grilled scrumptious tacos to friends and neighbors since 2005. 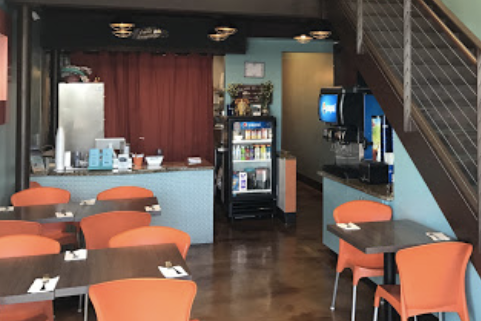 Family-owned bistro serving creative and authentic Thai dishes with vegetarian and gluten-free options available. An Asian-inspired kitchen & craft cocktail bar.